Hi guys, I understand that most problem we face as an upcoming act today is fund(money). When I say money, I mean money to record our song and most especially, money to promote our recorded songs.Most artist produce songs and beg a promoter for promotion. Good music and promotion works hanky panky. One thing we should understand as an artist is that promoters also have bills to pay. They have families to feed too. Most artist find it difficult to promote their music due to insufficient cash, all they do is upload to clouds e.g datafilehost.com and forgetting that most cloud deletes contents after some days of last download. Datafilehost for example deletes contents after 90days of last download. 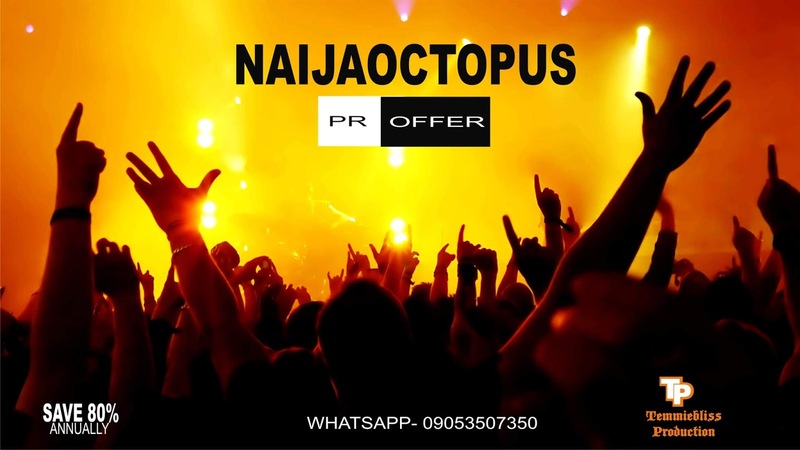 With the aforeexplained, we at NAIJAOCTOPUS came to agreement to help upcoming act promote their songs with this cheap offer you can never get elsewhere. HOW DOES THIS OFFER WORKS? 1. Pay a one time annual fee of #3000. This qualifies you to upload any of your music for free throughout the year on naijaoctopus and other platforms (Trust that the least number of links you will get for each song is 6) . This must be songs by the registered artists alone. 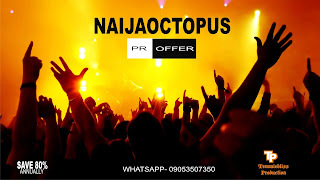 Subject of mail should be "NAIJAOCTOPUS OFFER"
PAYMENT SCREENSHOT SHOULD NOT BE OMITTED. REFERRAL BONUS OF #1000 FOR EACH ARTIST YOU REFER. Naijaoctopus is a subsidiary of Temmiebliss production.